Spout reach is measured from the center of the spout base horizontally out to the water stream. 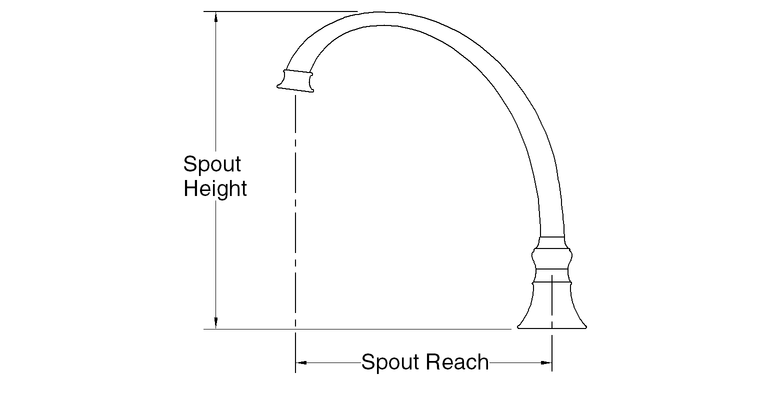 Spout height is measured from the sink/countertop surface vertically up to the highest point. Refer to the specification sheet for your faucet for specific measurements.